Hello!! My name is Sam. I just started my educational journey in business, and eventually a degree in Human Resource. I’m NEW, I’m EXCITED, and I’m…… uh oh…. I’m given the opportunity to apply for and possibly taking a position, ALREADY? So, here’s some back story. I’m in our local coffee shop grabbing some fuel for the day, when the owner of my longtime boyfriend comes into line behind me. No big deal, we’ve met many times and he’s a really nice guy. Well, he overhears me speaking about school and asks me what I’m in for. I jokingly say “whatever Company X is hiring for”. THAT’S WHAT I’M GOING TO SCHOOL FOR! This entry was posted in General and tagged Career Advice, Entry Level, entry level hr, entry level human resources on December 11, 2017 by Ben. However, today I’d like to dig deeper into the concepts from the research to help illuminate what we as HR leaders see as valuable in candidates with little to no actual experience working in the field. 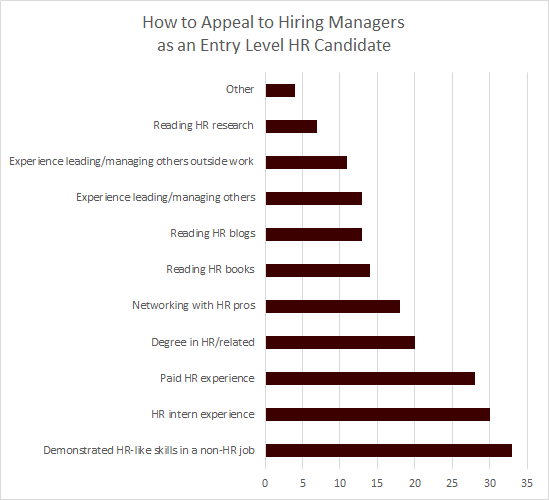 This graphic shows the data rankings of the top things that HR leaders are looking for from entry level applicants. As you can see in the research, HR-relevant skills in a non-HR job are the preferred currency for candidates seeking HR positions. I’ve always called this “doing HR where you are,” because there are aspects of many jobs that are “HR lite” in function, such as training, budgeting, or coaching. Being able to show those skills is the closest many candidates come to being able to prove their HR credibility without actually having demonstrated experience in the field. The next most valuable piece is HR internship experience. Working as an HR intern can fall on a wide spectrum, from grabbing coffee (waste of time) to shadowing and supporting various facets of the HR team (valuable). It’s possible to differentiate in an interview which experience someone had, but candidates are also struggling to get internships and other opportunities. Some of the internship job postings I’ve seen ask for one to two years of HR experience as qualifications, which is completely backwards for a position that’s supposed to be an entry point into the profession! Continuing the conversation from the previous point, paid HR experience is the next most requested characteristic from entry level HR candidates. At the same time, this is incredibly challenging to get for many individuals. I even profiled a letter recently from someone that was torn about getting into HR because of the bad reputation our profession has, so there are a lot of moving parts here. The next item on the list? A degree in HR or a related field. This has some measure of value, because it teaches some of the basics, but it’s also well known that higher education is behind the rest of the corporate world by a fairly significant margin. 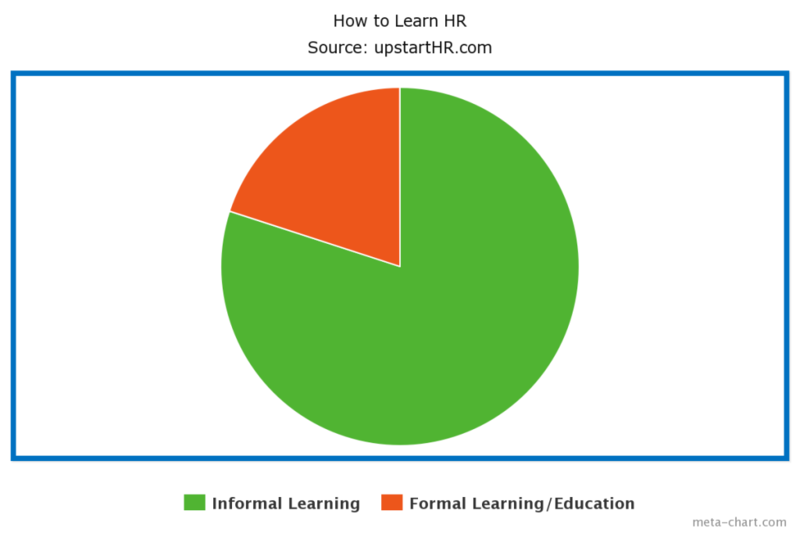 I talk about that in my post about how to learn HR for free–my degree taught me about 20% of what I need to know to be successful in this profession, and the other 80% came from boots-on-the-ground work and experiential learning. The last of the top five preferences when hiring entry level HR candidates is a history of networking with HR professionals. From my experience, this helps to diminish some of the unknowns and surprises involved in jumping into a new career track. Additionally, it gives us a chance to do some informal background checking to see what others think of these candidates based on their experiences and interactions. Because HR is so integral to business operations, that kind of informal background checking is a very common activity in this field. Soon I’ll take another look at the final five items in the top ten list, but in the meantime I’d love to hear from you if you’re trying to get into the profession or if you’re hiring these kinds of individuals. Are these on point? What has been your experience? This entry was posted in General and tagged Career Advice, Entry Level, entry level hr, entry level human resources on July 19, 2017 by Ben. This week I was approached to complete some HR informational interview questions by a young lady heading back to college for a master’s degree in HR. I’ve answered similar questions before, and I have always had a heart for students looking to break into HR, so I obliged. 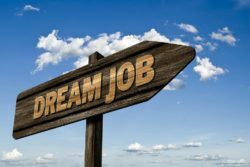 As I responded, I wondered how others would answer and what advice they would share with someone preparing to enter this amazing profession of ours. Would you pick a question and give your own answer in the comments section below? I used these informational interviews years ago before I got started in HR, and the responses helped me to hit the ground running when my entry level HR career took off. What are the main duties of someone in HR? It depends on the position, but an HR generalist typically touches a variety of areas, such as recruiting, compensation, benefits, employee relations, training and development, and safety. What kinds of problems or difficulties occur in performing these duties? I’ve found that in general, companies and leaders that do not value HR are the biggest stumbling block to success. If they don’t believe that what you’re doing is value-add and benefiting the organization, then no matter what you do there will always be a limit on the positive impact you can have. What kind of rewards or enjoyments does this work provide? I would say that HR pays fairly well, if you are competent and willing to work hard. Beyond that, the satisfaction of helping families with their benefits, working with an employee to develop themselves for a promotion, or helping to coach managers through challenging times are some of my favorites. What characteristics do you believe are needed to be successful in Human Resources? Usually this question is met with answers like “confidentiality” or “multitasking.” I’ll take a different approach: you need to have a sense of humor. This job can be draining if you don’t have an outlet. Imagine having to terminate someone through no fault of their own simply because the money isn’t there to support the position. Do that often enough without a release and you start to lose your mind. For me, a sense of humor is one way I can get through those tough days and stay fresh. What kinds of knowledge and skills must someone have to be successful in HR? The basics of HR include recruiting and staffing, managing employees, labor relations, risk management, benefits and compensation, etc. The more nuanced things include this list of the top five senior HR leader competencies. What else should someone thinking of getting into the HR field know? It will be nothing like you expect from the textbooks. You will learn about 10% of what you need to know to be successful with a degree in HR. The other 90% comes from doing HR every day. As I said I have a B.S. in Family and Human Services. Do you think that my background will influence me, positively or negatively, in the field of HR? I think you’re probably going to be very caring and considerate of the differences people have and what that enables them to bring to the table. The only concern is a lack of business-mindedness that is a critical part of HR today. If you can’t speak the language of the business leaders and only talk about morale and such, you won’t have any credibility. Why did you decide on a degree in HR specifically and not another Business-type degree? I knew when I was a child that I wanted to be in HR–I just didn’t know it was called HR. My parents owned a small business and had constant challenges with hiring, benefits, retention, etc. I always thought I would get a degree in management to figure out how to solve those kinds of problems. When I got to college I realized that this “HR thing” was exactly what I had always wanted to do! What exactly is your current position and what does it entail? Currently I’m not in a traditional HR role. I am working as a research analyst helping some of the largest companies in the world by creating research, publishing case studies, etc. I spend much of my time writing and creating research from primary survey data. Why haven’t you made a switch in career fields? If you have, why did you return to HR? Some would say that I did by stepping out of the traditional HR role, but I like to think that now I can help employees at a hundred companies instead of just those at the one company I was at previously. What general advice do you wish people told you about HR before you started? I did many interviews just like this one, so I had most of my questions answered early on. The only thing that would have helped more would have been more general in nature. I would have liked to know that companies often don’t change, even when they are on the wrong path. My first HR job was for a company that ended up going over the financial cliff because our leadership was unwilling to make the changes necessary to improve the business. Any specific advice for me? 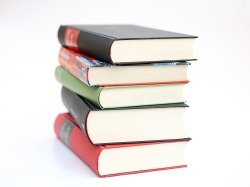 Especially concerning pursuing a Master’s Degree and what to do before and during the program. I’d spend as much time shadowing and talking with in-the-trenches HR folks as possible. Sign up for Twitter if you’re not already there and follow conversations like #NextChat. This will help you find other HR leaders that are worth following. Look for other HR blogs that will help you see through the eyes of accomplished professionals, such as HR Capitalist, HR Ringleader, and HR Schoolhouse. Good luck! What do you think? Did I steer her in the right direction with the informational interview questions? Did I miss anything critical? This entry was posted in General and tagged Career Advice, Entry Level, entry level hr on February 15, 2016 by Ben.